Castor (Ricinus communis, L.) occupies an important place in the country’s vegetable oil economy. During recent years, castor has emerged as a commercial crop with immense export potential earning valuable foreign exchange. It ideally suits dryland farming in kharif and with limited irrigations in post-monsoon both in traditional and non-traditional areas. Castor is produced under two contrasting environments in the country viz., irrigated intensive cultivation with high productivity in Gujarat and Rajasthan; and rainfed culture coupled with poor management with very low productivity in Andhra Pradesh, Karnataka, Tamil Nadu, Orissa, etc. Castor seed availability is expected to improve this season as the castor crop production has increased by 15%. 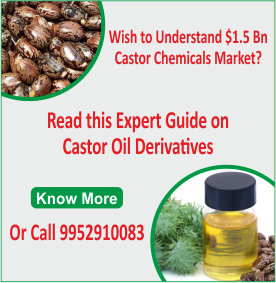 According to the latest estimates by Solvent Extractors’ Association of India, the castor production is likely to increase between 1.29 million tonnes and 1.38 million tonnes. While the area under castor has been estimated at 1.03 million hectares, the yield may improve marginally to 1,254 kg/hectare. Castor yield in Gujarat is estimated to be 1,471 kg/hectare and the global castor seed output is estimated at 1.70 million tonnes. Global Castor Conference – 2014 is scheduled to be held on Saturday, 22nd February 2014 at Hotel Courtyard by Marriott, Ahmedabad, Gujarat,India. 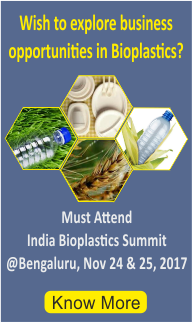 The Solvent Extractors Association of India ( SEA) is organizing this conference. 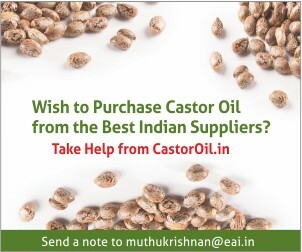 The event is supported by International Castor Oil Association (ICOA), U.S.A.
castor business all over the world. The event will also feature a presentation on the findings of Castor Crop Survey-2013 conducted in key Castor growing States viz. Gujarat, Rajasthan & A. P. by the world renowned market survey agency, M/s AC Nielsen. 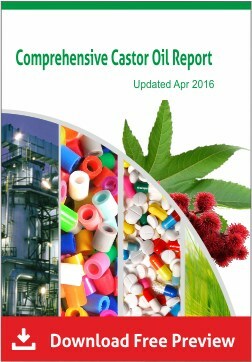 In 1959, Texas state of US was the country’s leading producer of castor with most of the production centered. 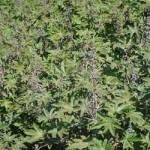 However, in the 1970s, castor disappeared from Texas fields with the arrival of low prices and more lucrative crop alternatives. All of the castor used in the United States today is imported from India and a few other countries, but there is a move afoot to possibly revitalize the old crop for a rapidly changing world and agriculture’s role in it. Dr. Calvin Trostle with Texas AgriLife Extension in Lubbock is part of a team working with castor within the confined and controlled quarters of test plots. He believes that with proper precautions, castor could again be a valuable crop for Texas farmers in part of the state but not all of it. The focus in the current Texas AgriLife program is the southwest quarter of Texas, probably south of I-20 and west of San Angelo. Texas Tech University researchers have also bred a variety of castor called Brigham, which has reduced the ricin levels of traditional castor lines by 78 to 85 percent. They believe that with the proper funding and a few years of work they can get the levels down to the mid or low single digits by “turning off” the gene that produces the ricin protein. “It is Texas AgriLife and Texas Tech’s goal that if castor is reintroduced in Texas that the production be highly self-regulated, which would include only distributing, growing, and buying of reduced-ricin castor, and that contractors would work with only this line or others that succeed it,” Trostle said. Currently, Texas AgriLife is developing in-house guidelines on how to handle castor at its research stations and agreements that would be made if the seed were to be transferred to a third party.